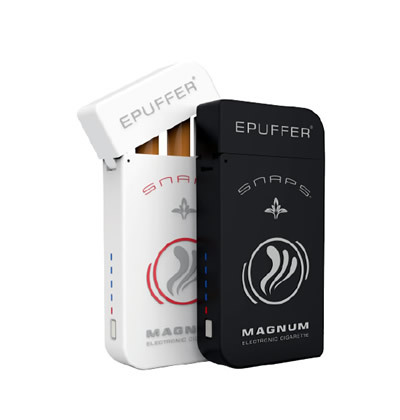 ePuffer have already seen success with disposable Churchill D1800 and Cigarillo D500 electronic cigars, as customers enjoy the longevity of use along with the taste. 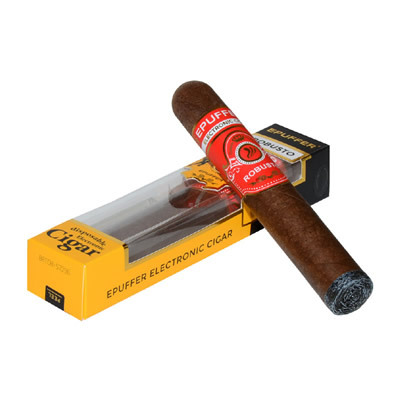 In development, we worked hard to ensure they replicated the experience of a real Cuban cigar, so customers wouldn’t feel like they were sacrificing enjoyment when choosing ePuffer as an alternative to smoking. Although the taste, design and aesthetics of the product have been well received, with many excellent reviews and product awards, customers told us they wanted a little bit more. They wanted a Robusto e-cigar. Although some sell the "Robusto" sized eCigars, ours is as real as it gets. We’ve spent 9 months adapting, testing and developing the model to offer the ultimate cigar smoking experience and with a range of features we’re confident we’ve now got this cigar just right. 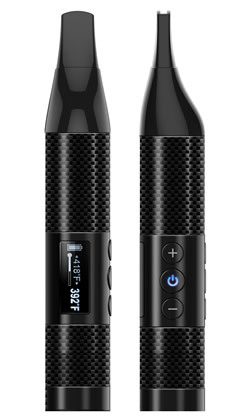 It's the first to offer the largest electronic cigar you can buy with 50 ring gauge and a real cork soft-tip mouthpiece that tells your brain you're smoking the real thing, vape time is about 180 minutes, it offers the same amount of smoking as 10 real cigars would. Yet it's highly competitive in price. Cigars are usually given as a decadent gift, a premium item that is sourced from overseas, matured before being delivered to the recipients. We've capture the eminence of this in our very own Robusto. All you have to do is vape it and see, we're confident you'll adore it. OMG!! I'm so glad I found epuffer. I've been using Veppo ecigars for several years. Terrible, really terrible customer service prompted me to search for an alternative. WOW! Your epuffer disposable Robusto puts Veppo disposables to shame. Everything from taste, appearance is incredible. A must try if you want the best! I've used other brands of e-cigars. I was disappointed with the amount of flavor compared to others. The draw is perfect and the construction with the cork tip is absolutely amazing. Would recommend! I would just like to inform you that your disposable Robusto was excellent, I can honestly say that I 85% of thought it was an actual Punch cigar, great job. If you have any others that are as good please send me information, again Excellent Quality and Workmanship. Damn, these are good. Excellent mouth-feel and taste. I've had my Robusto for a few days and I'm really impressed with, not only the realistic look, but also the flavor and draw. It would be nice to have more options on the flavor, but I've enjoyed the one I have very much. I would highly recommend this e-cigar. Top of the line... Best on the market... Real cigar feel with size and weight... Very good flavor... You guys need to make a rechargeable just like this!!! I just received my Robusto and I LOVE it! It is rich and powerful - at least that's how it makes me feel when I vape it. You guys really hit a home run with this one! The Churchill 1800 is good but this is awesome! Can't wait to go to my favorite bar, order a Manhattan and enjoy it. I'm sure I'll create quite a buzz with the Robusto! Best bang for your buck! Looks very authentic, great job on appearance. Can't really tell from a distance if this is real thing or electronic. 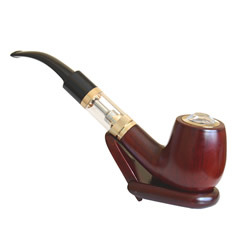 Since you are promoting a soft cork tip, Is it Okay to dip My ecigar in Cognac or Rum? Dear Harold, we are glad you are ejoying your new Robusto Ecigar. A long ago, the reason why people dipped their cigars in Cognac or Rum was so they could add moisture to them. Today, there is no reason why you should dip your tobacco cigars in alcohol as many cigar smokers own humidors and controlling humidity is not a problem.